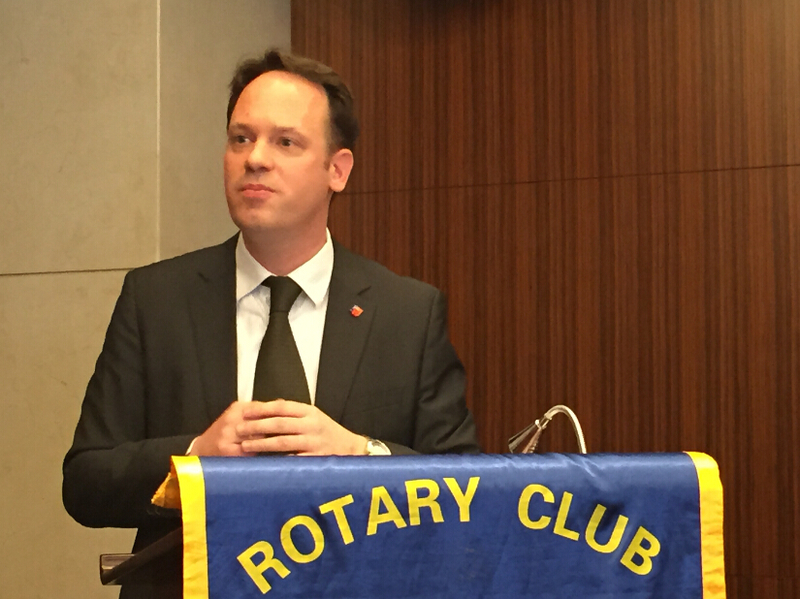 On 17 March we had Mr. Adam Dunnett, Secretary General of the European Union Chamber of Commerce in China, spoke on “Taking a Stand: EU Business in China”. Adam started the talk by examining how his own upbringing shaped and later after many years of dealing with China confirmed his beliefs in compassion, understanding of others and taking a stand in his actions. He also observed the changing sentiments in the West of China’s rise since 2000. China’s economic take off in the 2000 was first treated as a phenomenon, and with incredulity. However with the Beijing Olympic and financial meltdown in the West after 2008, the West started to treat China with awe and China’s miracle was regarded as “supreme”. China’s mode of development was coveted with glowing praise. With China’s GDP now down to the “new normal” of 7% and protectionist measures erected against foreign companies, the West has started to view China’s recent policies with caution and frustration, which in turn has fueled a new “stand firm” attitude among foreigners in their dealings with China. Mr. Dunnett urged all business and individuals to take a stand on what they believe in and not compromise their beliefs when it comes to China. Adam urged the foreign businesses operating in China to take a stand on three areas: the removal of the industry catalogs; the signing of an EU-China Investment Agreement; and relaxing of the internet and digital censorship in China. Despite the recent announcement by China on the expanding of the industrial investment catalogue, the catalogue was in fact more restrictive for foreign investment, because the government had opened up industries with little or no interest for EU companies and in areas of overcapacity; it put more restrictions on industries with higher margins. China now ranks the 54th place in investment restrictions in the FDI Survey out of 54 countries. The negotiations of EU’s investment agreement with China are aimed at gaining more market access for EU companies and thus require the support and involvement of business. The recent tightening of the internet censorship had hurt foreign businesses’ digital and research development. This negative impact has been further aggravated by the recent government decree that all banks are required to procure domestic made IT equipment, which would not only jeopardize the banks IT development but also cede to the government valuable client and bank’s data. 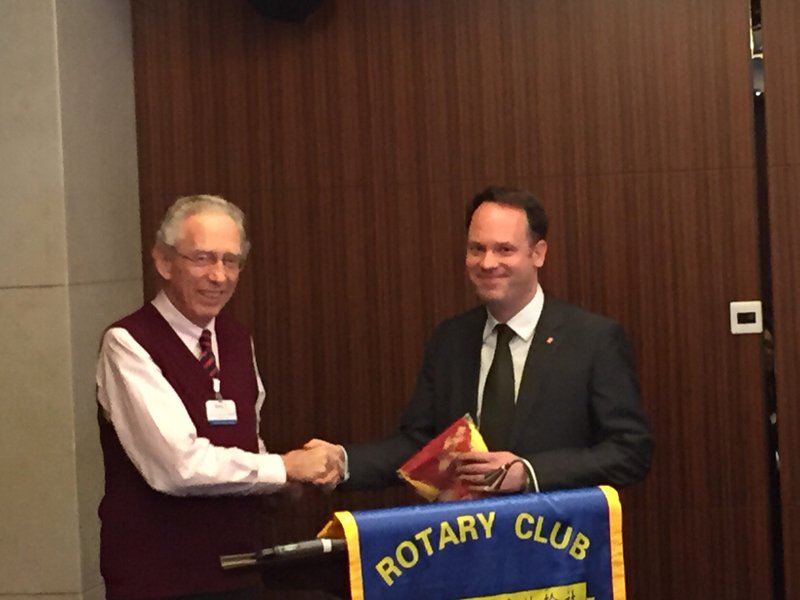 Rtn Gilbert thanking Adam on behalf of the club.